ARIES – A day when you will be able to relax. Massage your body with oil to give relief to your muscles. Money gains from unplanned sources brighten up your day. Proper dialogue and co-operation will improve relationship with spouse. Romance comes your way as friendship turns deeper. Watch out for individual who might try to mislead you or give you information that might cause you some harm. Today, you will have a very close communication about each other’s beautiful feelings for each other. Work hard and party harder – it seems to be the modern day mantra, but too much indulgence while partying might disturb your health. TAURUS – Feeling of restlessness could unnerve you. Go on a long walk and breath fresh air to get rid of this. Your positive thinking will also help you immensely. Uncertainty regarding finances will create tension on your mind. Today if you try to force any decision on people you know- you will only end up harming your own interest- Handling situation patiently is the only way towards favorable results. Sharing food with beloved in candlelight. Not a very good day for traveling. Your life-partner will put a lot many efforts today for you to make you the happiest. It is a great pastime to chit-chat with friends, but too much conversations over phone might cause headache too. GEMINI – Don’t hesitate to express your views. Let not allow confidence deficiency take over you as it will only complicate your problem and could retard your progress. Express yourself to regain your confidence and smile hearty to tackle the problem. Financial hassles will be eased out with the help of your friends. Your thirst for knowledge will help you make new friends. Likely to go on a pleasure trip that will rejuvenate your energy and passion. Travel opportunities should be explored. You will experience the best day of your married life today. Running may prove very good for you from health’s point-of-view. The great thing about it is – it’s free and yet the best exercise. 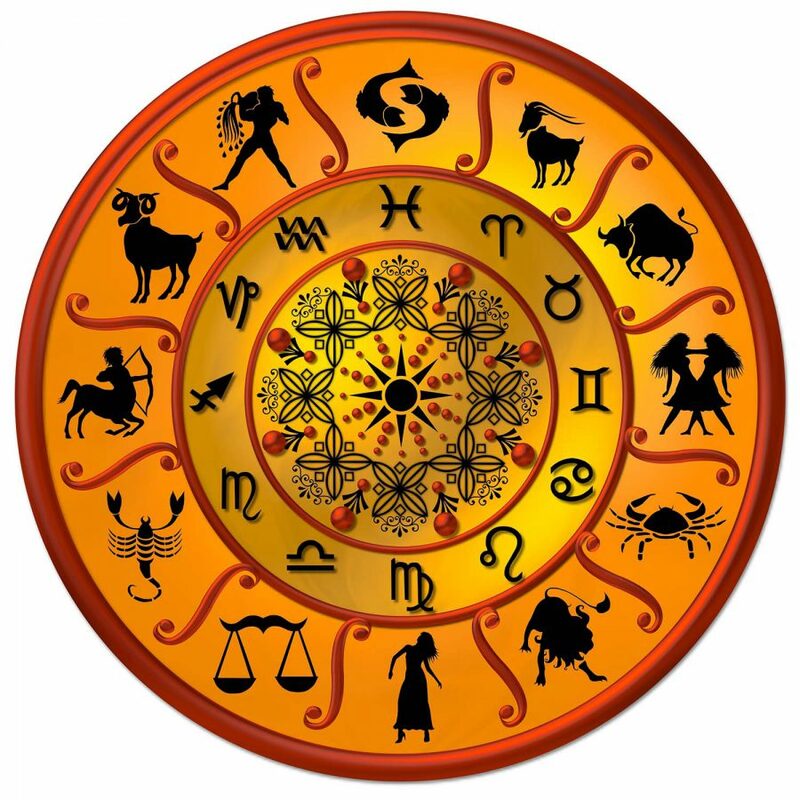 CANCER – Nature has bestowed remarkable confidence and intelligence in you- so use it to its best. You seem to know exactly what people need and want from you-but try not to be too lavish in your spending today. You can get your own way with people if you turn on your charms and use your intelligence. Relations with your sweetheart might get strained because of the interference of someone. Rash driving and risk should not be taken while on the road. Neighbors might expose the personal side of your married life today among your family and friends in a wrong way. Do not let loneliness overpower you; it would be better if you go out and visit places. VIRGO – Do not shout for the sake of your health. You could find yourself in an exciting new situation-which will also bring you financial gains. Good advice from family members will decrease your mental pressure. One-sided infatuation will prove disastrous today. Rituals/hawing/auspicious ceremonies will be performed at home. Your spouse might feel unimportant today due to your hectic schedule, and he/she might show the displeasure in the evening. Watching a movie with your loved ones may make this day fun filled and entertaining. LIBRA – Lovely mood of your spouse may brighten your day. Don’t spend too much on entertainment or cosmetic improvement. Harsh treatment from father could annoy you. But you need to keep your cool to put things under control. You would be benefited by this. Phone call you receive from your beloved/spouse would make your day. Stay away from gossip and rumors. With just little efforts, the day might become the best day of your married life. This is a day when you want to relax, but your family members seem to have a different plan. So, be prepared and avoid getting infuriated, or it might spoil entire weekend. SCORPIO – Cold attitude of a friend may offend you. But try to keep your cool. Let it not torment you rather strive to avoid misery. You will be presented with many new financial schemes today-Weigh the pros and cons carefully before making any commitment. A lack of communication with someone you care will leave you depressed. Likely to feel the presence in absence of your partner. Seminars and exhibitions will provide you with new knowledge and contacts. Your spouse will push the rewind button of those early stage love and romance today. Spending time with friends is the best thing you can do to avoid loneliness, and it is going to be your best investment today. 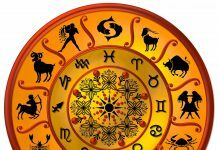 SAGITTARIUS – Keep your poise as you are likely to confront some difficulties otherwise-it may put you in some serious trouble. Especially control your anger which is nothing but a short madness. Bank dealing need to be handled very carefully. Your charming nature and pleasant personality would help you make new friends and improve contacts. Romance and socializing will rule your mind despite pending jobs. Take care of your action and words as authority figure will be less understanding if you do something deceitful. You and your spouse will create the best memory of your married life today. You might feel lazy during the first half of the day, but a lot can be done if you muster the courage to step out of your home. CAPRICORN – Cold attitude of a friend may offend you. But try to keep your cool. Let it not torment you rather strive to avoid misery. You will be presented with many new financial schemes today-Weigh the pros and cons carefully before making any commitment. A lack of communication with someone you care will leave you depressed. Likely to feel the presence in absence of your partner. Seminars and exhibitions will provide you with new knowledge and contacts. Your spouse will push the rewind button of those early stage love and romance today. Spending time with friends is the best thing you can do to avoid loneliness, and it is going to be your best investment today. AQUARIUS – You should destroy your negative thoughts before they become mental illness. You can get rid of them by involving yourself in some donation and charity work that would give you complete mental satisfaction. Improvement in finances will make it convenient for you to purchase essential items. Don’t let your family members decide what you should or should not be doing today. Music of love is heard by those who are into it all the time. Today you will hear that music, which will forget you all the songs of this world. Be careful not to make harsh comments in case you are pushed into an argument. There are chances that tensions between you and your spouse will escalate and it might not turn out to be good for your relationship in long term. Rather than getting bored entire day, either read a good book or write a blog post. PISCES – Be careful not to neglect yourself when it comes to health matters. Investment in stocks and mutual funds recommended for long-term gains. Entertainment will be fun if it includes the whole family. Love is beyond the limit of senses, but your senses will experience the ecstasy of love today. A day when changes might be made at the last minutes to your plans. The world might doom today, but you won’t be able to come out of the arms of your life-partner. Spending time with friends is the best thing you can do to avoid loneliness, and it is going to be your best investment today.